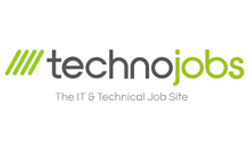 ContractorUK’s IT Contract Jobs Search brings you thousands of contracts from the biggest IT job sites. Are you looking for a new contract job? Use the job search below to find a new contract. There are thousands of contracts advertised – in London, across the UK and Europe. And check out our great contract career tools below including CV Reviews, Market Rates, Featured Recruitment Agencies, Training links and so much more to help boost your opportunities. Our responsibility is to provide a flexible workforce that can bring the right skills at the right time,and hiring the ground running is where contractors really add value to an organisation. Whether you are recruiting for an unexpected project, a niche skill or need to hit that looming deadline, contractors can offer the perfect solution to work alongside your permanent workforce. PHP is a general-purpose scripting language originally designed for web development to produce dynamic web pages. For this purpose, PHP code is embedded into the HTML source document and interpreted by a web server with a PHP processor module, which generates the web page document. It also has evolved to include a command-line interface capability and can be used in standalone graphical applications. PHP can be deployed on most web servers and as a standalone interpreter, on almost every operating system and platform free of charge. A competitor to Microsoft's Active Server Pages (ASP) server-side script engine and similar languages, PHP is installed on more than 20 million websites and 1 million web servers. Click here for further details. Java is a programming language originally developed by James Gosling at Sun Microsystems (which is now a subsidiary of Oracle Corporation) and released in 1995 as a core component of Sun Microsystems' Java platform. The language derives much of its syntax from C and C++ but has a simpler object model and fewer low-level facilities. Java applications are typically compiled to bytecode (class file) that can run on any Java Virtual Machine (JVM) regardless of computer architecture. Java is a general-purpose, concurrent, class-based, object-oriented language that is specifically designed to have as few implementation dependencies as possible. It is intended to let application developers "write once, run anywhere". Java is currently one of the most popular programming languages in use, particularly for server-client web applications. Click here for further details. SAP AG (ISIN: DE0007164600, FWB: SAP, NYSE: SAP) is a German global software corporation that provides enterprise software applications and support to businesses of all sizes globally. Headquartered in Walldorf, Baden-Württemberg, with regional offices around the world, SAP is the largest enterprise software company in the world (as of 2009). It is also the largest software company in Europe and the fourth largest globally. The company's best known products are its SAP Enterprise Resource Planning (SAP ERP) and SAP BusinessObjects software. Click here for further details. Linux refers to the family of Unix-like computer operating systems using the Linux kernel. Linux can be installed on a wide variety of computer hardware, ranging from mobile phones, tablet computers, routers and video game consoles, to desktop computers, mainframes and supercomputers. Linux is a leading server operating system, and runs the 10 fastest supercomputers in the world. Click here for further details. Larry Ellison and his friends and former co-workers Bob Miner and Ed Oates started the consultancy Software Development Laboratories (SDL) in 1977. SDL developed the original version of the Oracle software. The name Oracle comes from the code-name of a CIA-funded project Ellison had worked on while previously employed by Ampex. Click here for further details. CCNA is the Cisco Certified Network Associate certification from Cisco. In speech and in writing, this certification is properly referred to by the initials CCNA, rather than the full name. CCNA certification is a second-level Cisco Career certification. CCNA certification validates the ability to install, configure, operate, and troubleshoot medium-size routed and switched networks, including implementation and verification of connections to remote sites in a WAN. Click here for further details. A systems analyst researches problems, plans solutions, recommends software and systems, and coordinates development to meet business or other requirements. They will be familiar with multiple variety of programming languages, operating systems, and computer hardware platforms. Because they often write user requests into technical specifications, the systems analysts are the liaisons between vendors and information technology professionals. They may be responsible for developing cost analysis, design considerations, and implementation time-lines. Click here for further details. A project manager is the person responsible for accomplishing the stated project objectives. Key project management responsibilities include creating clear and attainable project objectives, building the project requirements, and managing the triple constraint for projects, which are cost, time, and quality (also known as scope). Click here for further details. Analyzes the organization and design of businesses, government departments, and non-profit organizations; BAs also assess business models and their integration with technology. Click here for further details. Telecommunication is the transmission of information over significant distances to communicate. In earlier times, telecommunications involved the use of visual signals, such as beacons, smoke signals, semaphore telegraphs, signal flags, and optical heliographs, or audio messages via coded drumbeats, lung-blown horns, or sent by loud whistles, for example. In the modern age of electricity and electronics, telecommunications now also includes the use of electrical devices such as telegraphs, telephones, and teletypes, the use of radio and microwave communications, as well as fiber optics and their associated electronics, plus the use of the orbiting satellites and the Internet. Click here for further details.